Almost all of Mark 4 is devoted to parables about seeds and sowing and their relation to the reign of God. Mark 4:26-34 gives us hope that God's reign is amongst us now, growing, living, moving towards its fruition, even if we "know not how." 1. How does the Word function in the text? Jesus is teaching about the reign of God, comparing it to the barely discernible growth of even the smallest of seeds. Both the statement that seeds "sprout and grow" though the sower "does not know how," and the statement that the "smallest of all seeds" grows into the "greatest of all shrubs" are words of Gospel. They announce that Christ is at work amongst and in us, even when we are unaware. 2. How is the Word not functioning in the text? A word that lifts up our need for Christ may perhaps be inferred from the word about sickle and harvest. This hints that God's reign will come in all of its fulness someday, and it's best to remember this. Nevertheless, the word that says directly "You need Jesus!" is absent. 3. With whom are you identifying in the text? 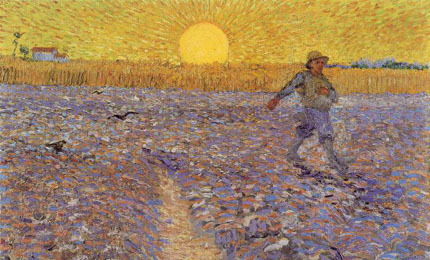 In these parables we might choose to identify with the sower who does not understand how the seeds can grow, but sows faithfully nonetheless. Or perhaps we will identify with the disciples or the crowds who are being addressed and are puzzling about the reign of God amongst them. 4. What, if any, call to obedience is there in this text? The call to follow Jesus in this text might well be the call to faithfully sow God's word, trusting the power of God's word to bear fruit in the world. It's as if Jesus is saying, "Take heart, fruit will be borne." 5. What Law/Gospel couplet is suggested by this text? Doubt/Faith seems a natural pairing. One of Herman Stuempfle's classic couplets, Anxiety/Certitude could also work, or one of Richard Lischer's: Old Creation/New Creation. 6. Exegetical Work: I often appreciate the insights of John Donahue and Daniel Harrington in their commentary on the Gospel of Mark in the Sacra Pagina Series, Vol 2. Here's a quote: "The contrast between the power of Jesus, which is hidden and absent on the cross, and the glory when he returns, is no less than the contrast between the smallest of all the seeds and the greatest of all the shrubs. The parables of Mark 4:1-34 are metaphors for the christology of the gospel." It is also interesting to note that the 4th chapter of Mark is the only place in this gospel where parables of the kingdom are shared. 7. How does the Crossings Community model work with this text? Archived under 2012 Gospel B is an insightful design by Bill White. I particularly like his diagnosis according to 3 D's: When we fail to look at Christ's work on the Cross for signs of the reign of God amongst us we end up 1) Discouraged, 2) Disillusioned, and finally 3) Dead. Good stuff. Check out crossings.org/text study to see the prognosis side of the equation. 8. 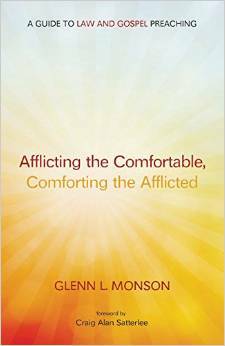 Insights from the pioneers of the New Homiletic? Eugene Lowry's remarkable way of moving listeners from equilibrium into disequilibrium and back to equilibrium could work well with this text as we explore the perceived failures we all experience as sowers of God's word. Us? Healed? Or made whole?